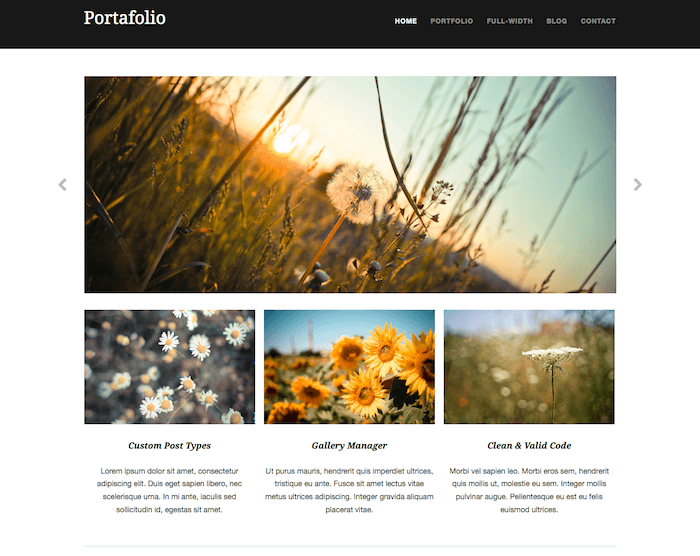 Portafolio is a fully responsive WordPress theme by WPExplorer. It is mostly used to create online portfolio websites for individuals and businesses. 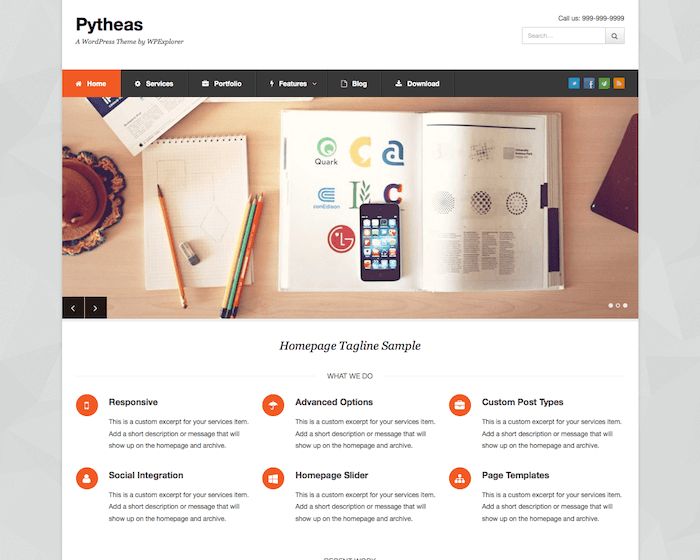 The theme is designed with the aim to put the maximum exposure on your work and projects on the website. Whether you are a photographer, a freelancer, a blogger or a business, Portafolio can easily create a professional online website for you or your business. The basic idea is to highlight your profile and your work as much as possible on the website. You can also remove unwanted parts of the website or a webpage using the code. 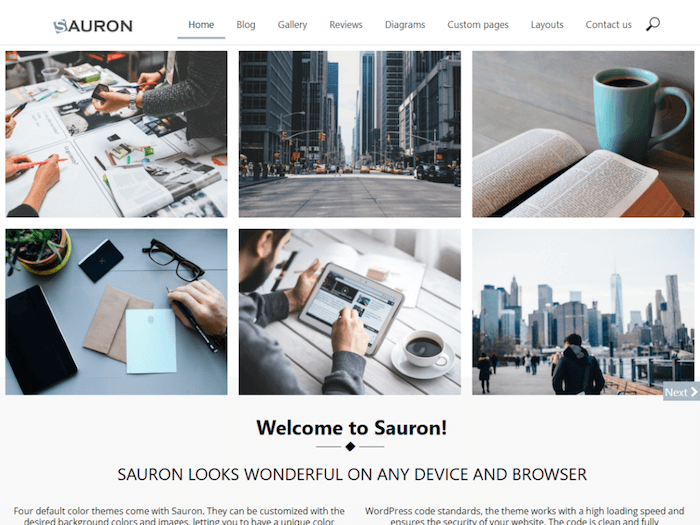 Portafolio comes with a predesigned attractive homepage that can be easily customized and altered to fit the requirements of a specific business or individual. Starting from the main slider, you can change the style and colors the way you want. You can add slides to the homepage slider using custom post type. It also allows you to add images, captions, links and other content to the slides. You can even customize the dimensions of this slider. Similarly, you can edit the featured content section to include your best work and projects using Features custom post type. It also lets you decide the number of items to display in the ‘recent work’ section of the homepage. Another great feature of the Portafolio theme is the inbuilt portfolio custom post type that enables you to easily add items to the existing portfolio section. It is like your portfolio is already online and you just need to add the projects you want to display on this page. Portfolio option also lets you create a number of portfolio categories to categorize your distinguish work and arrange them accordingly. Each post or item in the portfolio section leads to its own dedicate page. 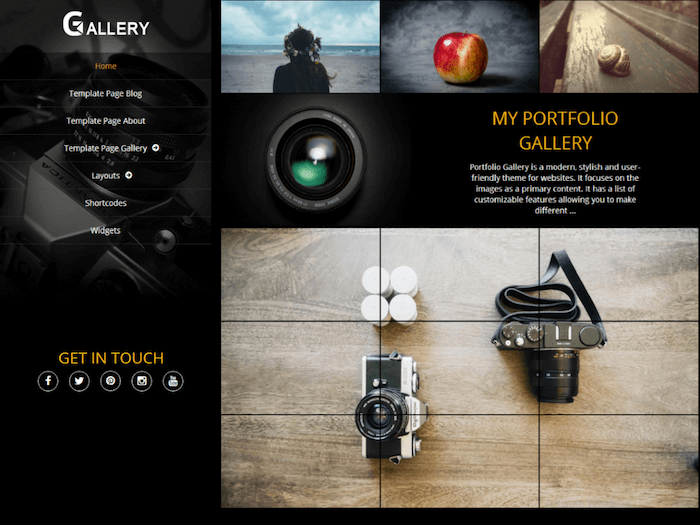 The Portafolio theme also features an amazing image gallery to allow users to add and manage all their images from a single place. You can easily add images by drag and drop, edit them, and remove images right from the gallery manager. Images are usually very important for a portfolio website and it is cool to have a dedicated image gallery manager to handle them.